Maryland including Harford, Baltimore, Carroll, Frederick, Howard, Montgomery, Anne Arundel, Prince Georges, Charles County and Southern MD, Washington, Queen Annes, Talbot and Maryland’s Eastern Shore. Northern Virginia including Fairfax, Alexandria, Falls Church, Arlington, Loudoun, Prince William and Fauquier VA.
Washington DC and Charles Town WV areas. 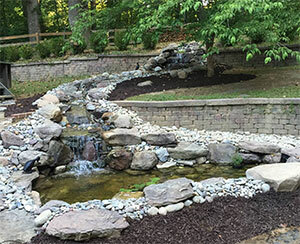 Montgomery Irrigation is a full service irrigation contracting company serving Maryland, Northern Virginia, Washington DC, Richmond VA, Virginia Beach, and Charles Town WV areas. Our company goal is to provide the highest level of customer service while providing quality products and services. In order to achieve this goal, we must provide our associates with the best possible training, equipment and support. The key to success in our organization is the people who work for it! 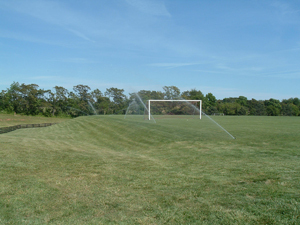 We are proud members of The Irrigation Association, The Landscape Contractors Association, Sports Turf Managers Association, and the Virginia Irrigation Association, and hold the following certifications: Certified Landscape Irrigation Auditor, Certified Irrigation Contractor. 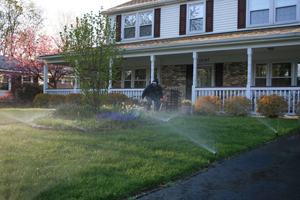 We can service and repair all brands of lawn irrigation and sprinkler systems. Our company has locations in Maryland, Northern Virginia and Richmond VA for fast service. Call or email for details. We are, too, and have been following water conserving practices for many years! Talk to your technician or call us in the office to talk about all the water saving devices and practices that we have available for your irrigation system. Montgomery Irrigation now has two certified backflow testers on staff. Many jurisdictions require annual testing of your backflow preventer to ensure it is working properly. Even where this is not required we highly suggest testing them yearly to ensure they are working properly to ensure your water supply does not become contaminated.